I nearly missed it, this first flowering of the lablab purpurea ‘Ruby Moon’ that I had planted as a weedy little seedling at the edge of the sweet pea trench planted to grow up the new archway. But here it is, a lovely spray of magenta ‘hyacinth bean’ flowers, with a very promising growth twining above it around the arch structure – I hope that the weather will continue to be warm for long enough for it to climb to the top. The sweet peas are still flowering, though not so strongly, and the deadheading is a daily job now. So it would be lovely if the new growth of hyacinth beans can add colour and vigour to the arch. 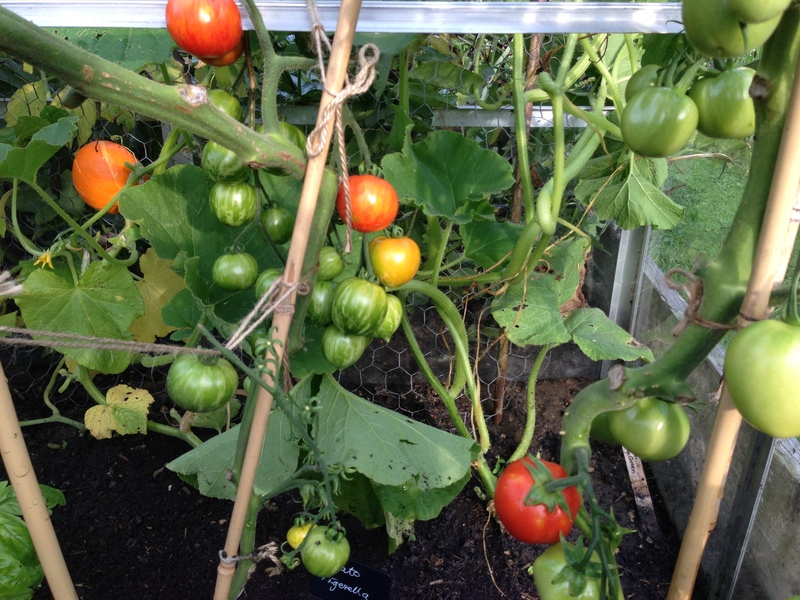 Meanwhile, the tomatoes are really starting to ripen and showing colour. Also the chillis are turning a gorgeous lipstick red and look almost artificial in their glossy pointed glory. The basil planted around the tomato plants is bushing out nicely and the Thai basil is showing signs of tiny purple flowerheads at the growing tips, very pretty and aromatic. 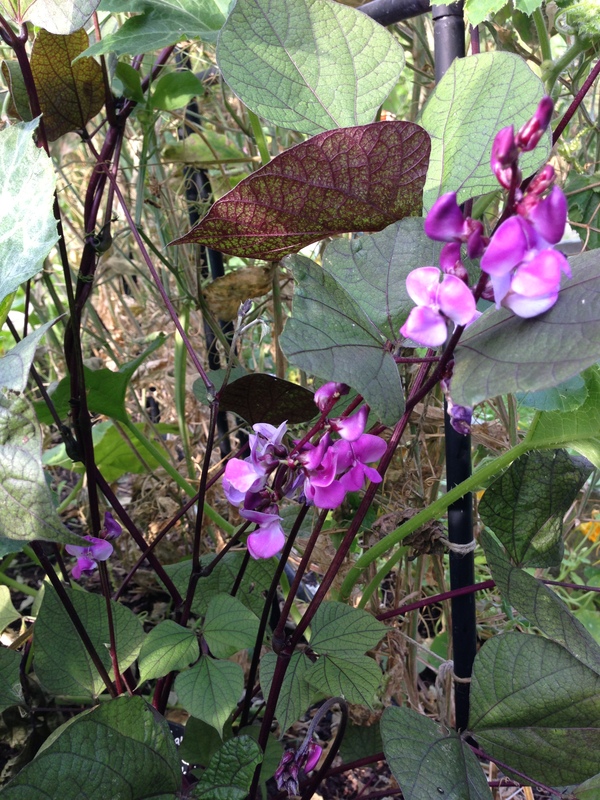 This entry was posted in Allotment and tagged hyacinth beans, lablab purpurea, thai basil, tomatoes. Bookmark the permalink.